The Second Time Around, Now I know! Sorting through boxes after our recent move I came across two yearbooks belonging to my mother who graduated from Loveland High School. 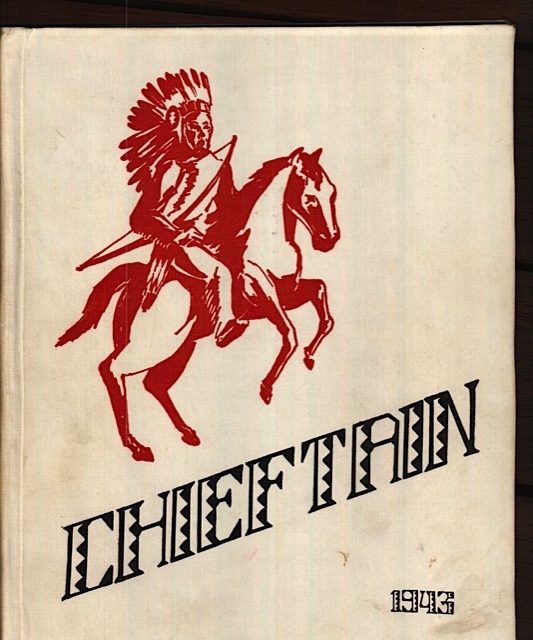 “The Chieftain” from 1941 and 1943. I was aware I had the yearbooks but I never took the time, until today, to look through and read each page. 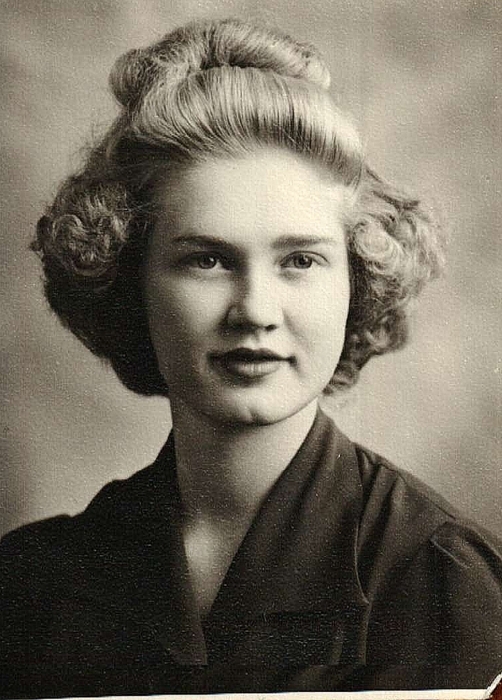 In the past I have posted many pictures of my mother as a young woman, never being able to date them accurately. The second time around now I know! Various school activities included pep rally’s to cheer on the football team which was state champion in 1939 having played against Pueblo on the Loveland field. They marched in the Costume Day parade in downtown Loveland. 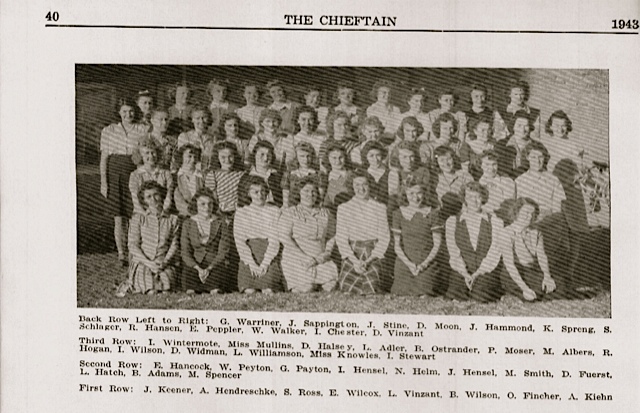 As sophomore’s in the 1940-41 school term many of the students became contributing members of the football and basketball team and cheerleaders and majorettes. The third year at Loveland High School 1941-42 the “juniors” had 18 boys receive their letter in football, and continuing participation in basketball cheerleading and school spirit continued. The class presented the play “Mama’s Baby Boy,” which was a great success. The students returned to school in the fall of 1942 as stately seniors, and as such were allowed to leave the auditorium first. Again the Loveland Indians brought honors by winning the state championship from the Salida Spartans. Due to the shortage of labor on the farms we began school a week earlier and then allowed two weeks vacation to work in the beet fields. The senior year also included attending school on five Saturdays so the students could end the school year early. The class sponsor was called back to the Army, leaving mid-term and 6 senior boys left school to serve in World War II. 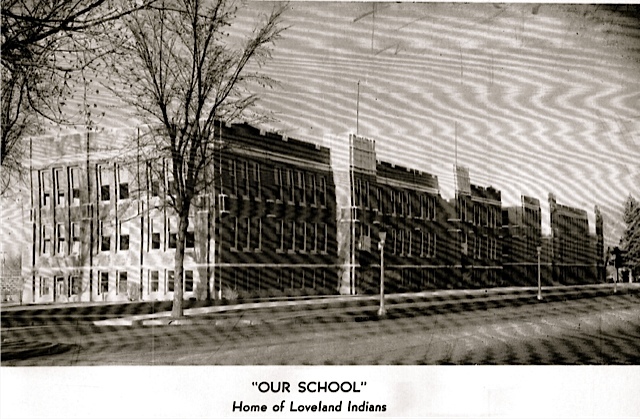 This entry was posted in Family History and tagged 1942, 1943, family history, Hancock family, Loveland Colorado, Loveland High School, Loveland Indians, The Chieftain. I have always thought that yearbooks were a great way to look back at a person’s life. I see too many at estate sales and such. We purchased a year book on Ebay from my mother-in laws high school at the time she was a student there. We looked through it and she was a friend of the owner of the book and had written a message and signed it. I am doing a project for school on the history of Loveland High/Bill Reed and would like to use this quote and need to cite it properly. The comments in italics and quote marks are taken directly from the 1943 yearbook printed page. My guess would be that a staff member or editor added this narration. 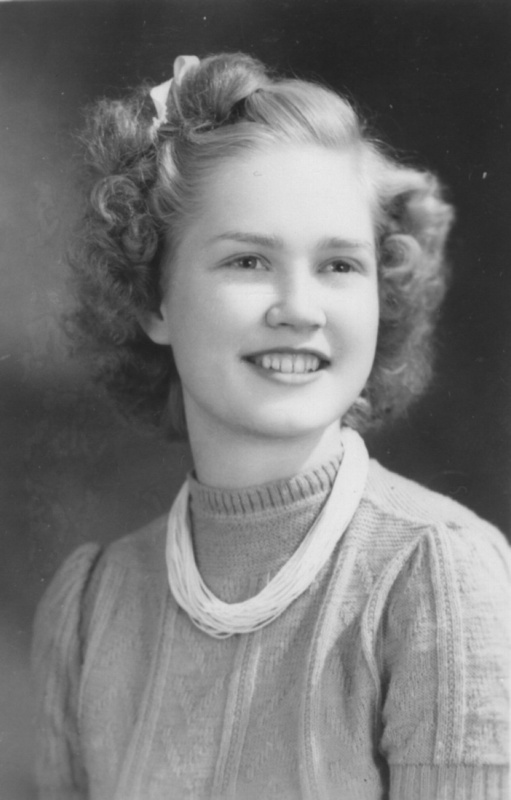 My mother, Grace Evelyn Hancock graduated with the class of 1943. The second yearbook I have is the 1941 year book when my mother was a sophomore. I mistakenly typed 1942 instead of 1941 in my blog and have now corrected the blog. The 1941 year book has a nice picture of Captain H.E. “Bill” Reed. He is noted as head coach and athletic director and that he was “summoned to active service with the forty-fifth division, National Guard, stationed at Fort Sill, Oklahoma on September 16, 1940.” If you need any pages scanned from the 1941 year book let me know.